Are there more earthquakes this century? Is this a sign that Jesus is to return? 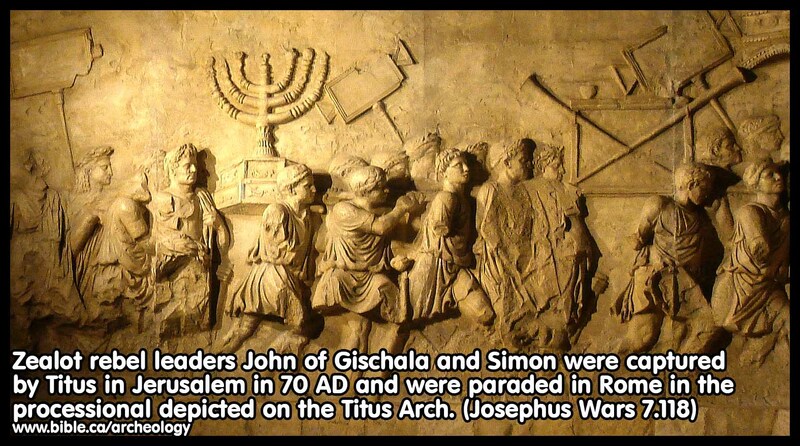 The signs of Matthew 24 prophecies the destruction of Jerusalem in 70AD not the second coming and certainly not some "Rapture" theology that was invented in 1830 AD by John Darby. When Christians saw the signs, they fled the city and were saved. 1. Those who teach the rapture irresponsibly mislead their followers into believing that there are more earthquakes today than in past centuries. 2. The idea they try to promote is that we are in the end times and one of the proofs, is that there is a spike of earthquakes since Israel became a nation in 1948 AD. 3. This interesting scientific data file proves that earthquakes have not been any more common in the last one hundred years. 4. 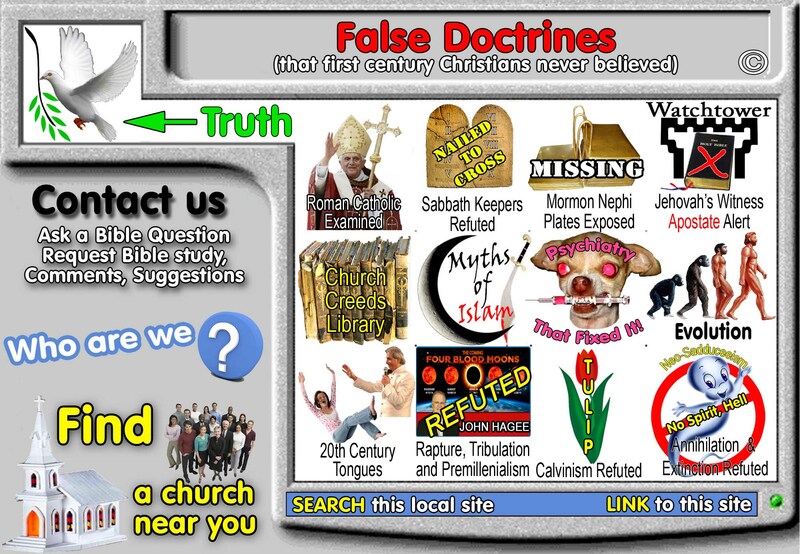 This file is specifically directed at Jehovah's Witnesses and their ridiculous "invisible second coming in 1914" doctrine, but when it comes to Premillennialism Jehovah's Witnesses are no different than mainline evangelical churches. 5. They both stand or fall together. TV evangelists, like Jack Van Impe, are false teachers when they misuse the obviously fulfilled signs of Matthew 24 to predict the coming rapture! 7. You can see from the summary graph that the science proves there is no increase in earth quakes. CHAPTER 3 from SIGN OF THE LAST DAYS - WHEN? Commentary Press, P.O. Box 43532, Atlanta, Georgia 30336. 1987. WHAT ARE the facts about earthquakes in our time? Is our planet Earth shaking with greater frequency and intensity than ever before in human history? As we have seen, in The Late Great Planet Earth, Hal Lindsey listed this as one of the signs marking the time for Christ's setting up his Kingdom. (Pages 52, 53) Again in The Promise, he states that Jesus "warned that earthquakes would increase in frequency and intensity as this old earth prepared for its final cataclysm." (Page 198) This piece of the prophetic "jigsaw puzzle" is supposed to have come into place in our day. With increasing frequency and intensity Mother Earth has been shaking and quaking. Hundreds of thousands of people have lost their lives. Multiplied thousands more will perish in greater earth spasms ahead. Never since the days of Noah has the world been so badly battered. He then quotes Jesus' words at Luke chapter twenty-one, verse 11, as evidence of this. The frequency of major earthquakes has increased about 20 times what it was on an average during the two thousand years before 1914. - Survival into a New Earth (1984), page 23. This is a fantastic claim. It is really possible to prove such a statement? How much is actually known about earthquake activity in the past? Are ancient records on earthquakes complete enough to allow for reliable comparisons with our century? And what is meant by a "great" earthquake? What determines its 'greatness'? To be able to assess accurately the claims of the Watch Tower Society, we must first seek an answer to these questions. The Greek word for "shaking" and (when it applies to the earth) "earthquake" is seismós. The science of earthquakes, therefore, is called seismology. Consequently seismologists are able to present a complete list of the great earthquakes that have occurred on earth from 1903 onward.4 With further improvement of the seismograph an increasing number of countries have adopted its use. But not until the end of the 1950's did this observation network reach a global scale.5 Since then it has been possible to record and measure all earthquakes, small and major, all over the globe. have occurred in areas outside Europe and in most cases in areas from which no historical records of past occurrences are available for comparison. The Watch Tower Society, either by choice or otherwise, takes not a single one of these vital factors into consideration when making its remarkable claim. What constitutes a "great" earthquake? According to Luke's rendering of Jesus' words to his disciples there would be "great earthquakes." (Luke 21:11) What is meant by a "great" earthquake? How common are "major" earthquakes, measured by the standard of the Richter scale? The number of "major" earthquakes, then, are, according to these calculations, about 19-20 per year. Do we have any indication that the "major" (7.0 and more in magnitude) and "great" (8.0 and more) earthquakes have increased in number and magnitude during the period it has been possible to measure them instrumentally, that is, since the end of the last century onward? Did you know that from 1901 to 1944, during more than four decades, only three earthquakes measured magnitude 7 or over? . . . Then, in just 10 years from 1945 to 1954, the number leaped to 21 quakes measuring 7 or over. From then on, large earthquakes have increased dramatically. From 1955 to 1964 - in just one decade - 87 earthquakes measured 7 or over; from 1965 to 1974, 136; from 1975 to 1984, 133. It would be a charitable understatement to say that this claim is simply nonsensical. When confronted with this claim, Professor Seweryn J. Duda, a renowned seismologist at the University of Hamburg, West Germany, wrote that "In the time 1901-1944 about 1000 (one thousand) earthquakes with magnitude 7 or over have taken place worldwide." 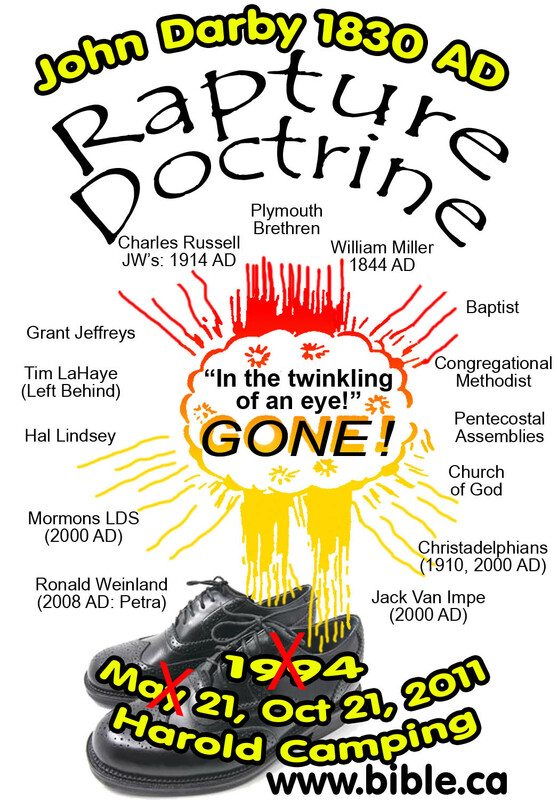 In fact, his letter to the authors dated July 7, 1986, contradicted the entire statement of the Worldwide Church of God. See Appendix A for the complete text of his letter. The simple fact, then, is that no such unique increases have been observed, either since 1914 or at any other subsequent point of this century. Actually, the evidence produced by modern seismologists indicates the contrary. Parts of this statement were quoted disapprovingly on page 72 of The Watchtower of February 1, 1974 - without the reader being informed that it came from a leading authority on seismology. Jesus was not speaking of any "ten-year interval," said The Watchtower, but of a whole "generation." Dr. Richter's statement, however, was aimed at demonstrating that the claimed increase in the earthquake activity during our century finds no support in the recorded seismological data during the period of instrumentally measured seismicity, which covers the period from 1896, or more particularly from 1903 onward. Still, his statement was made back in 1969. What, then, of this claim found on page 30 of the book The 1980's - Countdown to Armageddon, by Hal Lindsey? The 1970's experienced the largest increase in the number of quakes known to history. In fact, the dramatic increase in quakes in 1976 led many scientists to say we are entering a period of great seismic disturbances. This statement has no more basis in fact that do those of the Watch Tower Society and the Worldwide Church of God. More recent statistics published by other seismologists, who have carefully and objectively examined the matter, not only confirm the accuracy of Dr. Richter's statement, but show that it continued to be true into the 1970's. The table on page 54, published in 1912 (for the years 1899 to 1909), gives some idea of the high seismicity recorded in the period previous to 1914. For the period before the beginning of our century reliable instrumental data are missing, as was pointed out earlier. What is the conclusion to be drawn from this very careful study of the period from which reliable instrumental recordings are available? It is this: No marked change in the number of major earthquakes may be demonstrated during the period from 1897 to 1977. On the other hand, the study shows the frequence of the greatest earthquakes to have been considerably higher in the first twenty years of this period than in the sixty years that followed! Between 1899 and 1909 the number of very large earthquakes recorded was not less than 976. Many of these where recorded at stations all over the world, others over the whole of the Northern Hemisphere, and none of them disturbed an area less than that of Europe and Asia. Seismologist F. M. Walker in Report of the Eighteenth Meeting of the British Association for the Advancement of Science, London 1912, pages 38 and 39. The expression "very large," here has no reference to the Richter scale, which was not in use at that time. First, as was pointed out earlier, data on earthquakes and death figures are much sparser from past centuries due to the fragmentary historical sources, which moreover, previous to the year 1700, "are practically confined to occurrences in Southern Europe, China and Japan." So the idea that completely accurate comparisons can be made between modern-day and historic earthquake death figures is simply not true. Second, the rapid population growth and urbanization in our century has very reasonably increased the number of deaths in great earthquakes, particularly when these have hit densely populated areas. An increase in the number of deaths, then, would not be a valid indicator of an increase in the number of "great earthquakes." We may also rightly ask: Did Jesus, in referring to "great earthquakes." actually speak of an increase either in the number of quakes or the number of victims? His simple statement was that, along with war, famine and pestilence, "there will be great earthquakes." Anything beyond that is human assumption, a reading into his words more than they actually say. But the reader is not informed that expressions such as "largest," "worst," "greatest" and so forth in these statements in several cases do not refer to the number of deaths in these earthquakes, and at least in some cases clearly refer to the Richter scale which this same article has said should not be the means of measuring earthquake "greatness"! Several of the statements quoted are certainly not scientific descriptions. They rather reflect sensation-rousing newspaper headlines created during the immediate impact of the catastrophe. Although some of the earthquakes mentioned (China 1920, Japan 1923, Pakistan 1935, and Peru 1970) were indeed very great and claimed thousands of lives, most seismologists would certainly be hesitant to term any of them the "worst" or "greatest" in the history of the country in question. Damage $5 million (U.S.) or more in property destroyed. These standards for measuring "greatness" are also used in the 1985 Watch Tower Society publication Reasoning from the Scriptures, page 236. Surprisingly, the Richter scale, previously rejected, has now been introduced to play an important role in their statistics. On a closer look at their calculations, the reason soon becomes apparent. While seismologists properly make comparisons based on the Richter scale only for the period during which earthquakes have been measured instrumentally, that is, by seismograph since the end of the last century, the Watch Tower Society elects to include the past 2000 years in its comparisons! This allows for a very biased comparison. How so? While it is true that seismologists have estimated magnitudes for many great earthquakes of the past, for the bulk of destructive earthquakes before A.D. 1900 such estimates are missing.21 All these destructive earthquakes obviously would fail to meet the first criterion set up by the Watch Tower Society - no matter how great in magnitude they actually may have been!22 And if they do not meet at least one of the other two criteria, they are conveniently excluded from the calculations altogether! As to the second criterion, it has already been pointed out that death figures are often missing in ancient records, especially if the losses amounted to only some hundreds or less. In fact, many severe earthquakes that involved relatively few fatalities may have been completely ignored in the early records. This can only mean that countless "qualified" earthquakes in the past have been excluded by the Society's arbitrarily set standards of comparison! Quite naturally, many earthquakes in earlier times, although involving substantial damage, would fail to meet the Watch Tower Society's purely arbitrary criterion of "$5 million or more in property destroyed"
The present world seismological situation does not actually lend itself to such statistical comparison with that of the past two millenia. This is because, as demonstrated earlier, available data on earthquakes are much sparser from earlier centuries. In fact, for whole continents data are completely lacking for the greater part of the past two millenia, and especially previous to the year 1700. Similarly, it has only been in this century that tremors occurring in oceanic beds or uninhabited regions could be recorded, yet it is in such regions that the vast majority of high magnitude quakes occur. It should also be observed that the method of comparison used in the earlier-quoted calculation contains another fraudulent element, not easily recognized by the unsuspecting reader. By extending the pre-1914 period of comparison thousands of years back in time to include the long ages of poor reporting of earthquakes, the Watch Tower Society naturally gets a very low overall annual average, even for later centuries when reporting actually increased. This conceals the large number of severe earthquakes known from the latest centuries, leveling them out with the aid of earlier centuries when reporting was poor. It is further concealed that this method does not point to 1914 any more than to any other date within the last 200-300 years. The choice of 1914 as the seismic "turning point" is thus wholly arbitrary. It would be equally possible to use the identical method to choose, for example, 1789, when the French Revolution started, or 1939, when World War II began and obtain similar results. Whatever date during the last 200-300 years picked as a watershed would get the full advantage of modern reporting following it, giving an apparent great increase in the annual average. It is safe to say that any scientist who would slant and manipulate statistical data in this way in a scholarly journal would be quickly exposed as a fraud. In a religious paper, however, read by millions of unsuspecting people who feel that it might be a sin to question their leaders, such calculations easily pass as if they were firmly established facts. From the Scriptures themselves, then, it is only reasonable to conclude that Jesus spoke of "great earthquakes" in a general sense, of tremors affecting - with greater or lesser severity - people, property and landscape. He could not reasonably have had in mind statistics of average numbers of annual deaths before and after certain dates! Nonetheless, since such figures play a very major role in the Society's calculations, we will now proceed to a closer look at its statistics. Figures don't lie, we are told. But be on guard. Honestly used, they can be very informative and useful. However, statistics can also he presented in a way that misleads you. The examples presented below will show that this warning has a pertinence that its writer probably did not realize. According to Awake!, February 22, 1961, page 7, the estimated number of annual deaths in earthquakes before 1914 was 5,000. The Watch Tower Society, however, by its method of employing statistics, not only increased the annual death rate after 1914 from 15,000 to 25,300. They also succeeded in reducing the number of annual deaths before 1914 from 3,000 a year (according to their statistics of 1974) to just 1,800 a year (according to their statistics of 1980)! This is perplexing indeed. How did they arrive at this new figure? The answer is that the latest (and lower) statistics were not based upon the estimated 3-4 million victims of earthquakes during the past 1,000 years, as were the earlier Society statistics, but upon a much smaller figure, 1,973,000 victims during a period of 1,059 years. The extraordinary feature about this is that this new figure is not some estimate made by any modern seismologist-it is a figure which the Watch Tower Society itself has created by adding up the number of deaths in only 24 major earthquakes, selected_from among literally thousands of destructive quakes that took place in the 1,059 years before 1914! Interestingly, for a period of 1,059 years (856 to 1914 C.E. ), reliable sources list only 24 major earthquakes, with 1,972,952 fatalities. But compare that with the accompanying partial list citing 43 instances of earthquakes, in which 1,579,209 persons died during just the 62 years from 1915 to 1976 C.E.. . . . The dramatic upsurge in earthquake activity since 1914 helps to prove that we are now living in the time of Jesus' presence. The statement that 'reliable sources list only 24 major earthquakes for the 1,059 years from 856 to 1914' is so far from the truth that it is almost impossible to understand how anyone with even an elementary knowledge of the subject could make such a statement. The fact is that reliable sources list literally thousands of destructive earthquakes during this period! (The evidence of this will be discussed in the last section of this chapter.) And this is by no means the end of the matter. The writer of the Awake! article takes those 24 pre-1914 earthquakes and seeks to make a comparison between them and earthquakes in the 62 years following 1914. But whereas the 24 earlier earthquakes were all major catastrophes, they are now compared with a modern list that includes both great and small disasters (some have death figures of 52, 65, 115, 131, and so on). If this trend were to continue at the same rate for another 20 years, the annual death figure previous to 1914 would be reduced to zero in the statistics of the Watch Tower Society! It is obvious, then, that estimates of annual deaths in earthquakes in the past will be as divergent as the guesses of the total death number upon which they are based. Population growth is an important factor. Since about half of the world's population lives in the earthquake belts of the earth, it would certainly not be surprising if the number of deaths in earthquakes kept pace with the population growth in those areas. This would not constitute proof, however, that earthquakes have increased either in numbers or severity. As can be seen, the death figures have been raised in the latest list by a total of nearly 200,000! This does not mean that the figures have been deliberately falsified. Lists showing deaths in earthquakes, published in different works, often vary. But the Watch Tower Society's listings reveal a clear tendency to choose always the highest, not the most reliable, figures in these works, evidently in an attempt to present the earthquakes of the twentieth century as being as "great" as possible, while the tendency to reduce the numbers and size of the earthquakes before 1914 is equally apparent. This is not an honest, objective use of data. The varying figures to be found in different works clearly demonstrate what a hazardous task it is to try to make any comparisons between earthquakes before and after 1914 based on death figures. It also demonstrates how easy it is to create a seemingly very impressive and convincing, but completely misleading, statistical picture, simply by choosing only those figures that best support a preconceived view from among the many different lists that have been published. To do this reflects, at best, shallow research and irresponsible journalism; at worst, deliberate deception. But it is doubtful if any seismologists would agree with this. True, The Watchtower of May 15, 1983, claims that seismologist Keiiti Aki "speaks of 'the apparent surge in intensity and frequency of major earthquakes during the last one hundred years,' though stating that the period from 1500 through 1700 was as active." (Page 6) It is difficult to see how such a statement can be helpful to the Watch Tower Society since it embraces "the last one hundred years." rather than the much shorter period following 1914. From that letter it is clear that the Watchtower magazine misused the information supplied to them. Professor Aki's letter to the Watch Tower Society shows that when referring to "the apparent surge in intensity and frequency of major earthquakes" he clearly used the term "apparent" in the sense of a seeming surge, not in the sense of that which is evident or noticeable. For he stated in the same sentence that such "apparent" surge was "in all probability, due to the improved recording of earthquakes and the increased vulnerability of human society to earthquake damages." The Watch Tower Society saw fit to drop this portion, thereby giving to the quoted phrase a meaning that it does not have. Regrettably, it must be said that this method of "proving" a case is in no way exceptional in the publications of this movement, as the following additional examples demonstrate. The nature of the "global force" that controls this orderly pattern is unknown. One speculation is that periodic increases in the earth's rate of spin due to slight changes in the tidal forces of the sun and moon may enlarge the earth, opening it's seams sufficiently to release the accumulated tensions. Scientific American, September 1950, page 48. These sentences, isolated from their context, strongly convey the impression of an increase in the number of major earthquakes in our century, and especially since 1948. A careful examination of the whole news item, however, gives quite another impression. For the reader's benefit, we present the news item above in its entirety. Does the news item actually claim that major earthquakes have increased in number since 1948? Does it say they have been more violent or destructive since that date? No, it does not. It refers to a study of a special type of great earthquakes, "the highly destructive shallow quakes, which take place less than 45 miles below the earth's surface." Forty-eight quakes of this kind had occurred between 1904 and 1950, that is, about one such quake a year, on the average. But while they earlier used to occur in clusters, followed by a rest period, the pattern entered a new phase in 1948, "with approximately one great quake [that is, of 8.0 magnitude or more] a year." Thus the average number of earthquakes was still the same. To illustrate, if in a ten-year period a cluster of four great earthquakes occurred in the first year, another cluster of three in the sixth year, and a third cluster of three in the tenth, with the intervening years being years of quiet, the total number would be ten great earthquakes in the ten-year period. This would be the same as if there had been one great earthquake each year during the ten-year period. The total number would be the same in either case. The Scientific American news item itself clearly shows that no increase in either the total number or size of earthquakes had occurred. Only by quoting two or three sentences out of context was it possible to create the opposite impression. By 1978 the statement in Scientific American magazine had been used for about twenty years as the Watch Tower Society's principal or only neutral "proof" of the claimed increase in earthquake activity since 1914. In 1978, however, another "evidence" began to be quoted, one that has served as virtually the only "neutral" source of proof since then. A closer scrutiny of the source and dependability of this new evidence will give us yet another interesting lesson in the Society's art of "proving" by the aid of quotations. It is quite evident that the source of Malagoli's "information" was the Awake! magazine of February 22, 1977, quoted earlier. The slight differences are easy to explain. He has rounded off the figures: 1,972,952 to 1,973,000, and 1,579,209 to 1,600,000. As one year had passed since the figures were originally published in Awake!, he has also raised the 62 years (from 1915 to 1977) to 63 years (1915-1978). But aside from this, all details are identical. And from now on this Geo Malagoli began to appear in the Watch Tower publications, time and again, every time the subject of earthquakes was brought up for discussion - elevated to the position of a neutral, impartial earthquake authority! And of course they avoided mentioning the fact that the 'figures produced' were -originally - produced by the Watch Tower Society itself. In 1981 Malagoli was quoted in the Society's book " Let Your Kingdom Come" on page 113, and in 1982 "his" figures were referred to three times: in the Awake! of April 8, page 13, in The Watchtower of April 15, page 9, and in the new study book You Can Live Forever in Paradise on Earth, page 151. Each time Malagoli's figures were the only "evidence" offered as to increased earthquake activity. In the special discussion of earthquake activity published in The Watchtower of May 15, 1983, Malagoli was finally brought up again as the principal witness (aside from the Watch Tower Society's own misleading statistics) to the claimed increase in the earthquake activity since 1914. Incredible as it may seem, this time his statement was used to "disprove" what an authentic earthquake authority, Keiiti Aki, states, namely, that the period from 1500 through 1700 was as active as the past 100 years! Thus we find that the Watch Tower Society's principal, yes, its sole seemingly "neutral" and "impartial" proof that earthquake activity has increased since 1914 is an Italian writer, who -undoubtedly in good faith - borrowed his "information" right out of the Awake! magazine. That "information" on seismic activity in the past is, in turn, completely erroneous and has nothing to do with actual historical evidence. The fact that the Society, time and again, has presented this false information-seemingly taken from a neutral source-in order to "prove" its interpretation of the "sign" since 1914, should induce every honest reader of its publications to ask if this Society is genuinely deserving of his or her confidence in its remarkable claims. Quotations taken out of context and given a different, slanted meaning, biased selection of figures and data, misuse of and even fabrication of statistics that are then presented as though coming from an outside, neutral source-these are the methods employed by the Watch Tower publications to support the claim that the number of earthquakes and of quake victims has soared since 1914. How is it that persons considered as devout and respectable men resort to such methods? We ask: When such "skeletons" are also found in the "closet" of a religious organization, should not this induce a similar reevaluation of the exalted position which that organization claims for itself? Further, the great earthquakes of the past were generally isolated events occurring years, even centuries, apart. There were not many of them in a single generation. There have been many great earthquakes throughout history, but, according to surprisingly well-kept records, in the past they did not occur very frequently. The 20th century, however, has experienced an unprecedented increase in the frequency of these calamities. In fact, the number of earthquakes per decade has roughly doubled in each of the 10-year periods since 1950. Although lacking even the slightest foundation in fact, such statements could be the hasty impression obtained by someone whose main, perhaps only, information about earthquakes in history has been brief looks at tables containing partial selections of major earthquakes. Read in its entirety and in its context, Milne's (and Lee's) estimation of the catalogs presents a quite different meaning. What they in fact point out is that, since the older catalogs are incomplete, the real number of ancient earthquakes was actually larger, and that these catalogs, therefore, do not give a fair representation of the full scope of the situation as regards earlier seismic activity. The uncertainties regarding certain dates or years, they say, are owing to the fact that the dates are frequently given according to some system of reckoning that is little known today. This in no way says, then, that the ancient sources were careless and thus unreliable in this respect, an impression created by the Watch Tower Society by taking the statement out of its context and interrupting the quotation in the middle of a sentence. Nor does the observation that the descriptions of the ancient earthquakes sometimes contain "inaccurate or obscure references" constitute a denial that these earthquakes did indeed take place. No existing earthquake catalog would claim to embrace all the disastrous shocks presupposed by this statement. In fact, only a very small number of earthquakes before A.D. 65 have been specifically identified. But it would certainly be a mistake to infer from this that earthquake catastrophes "did not occur very frequently" in the past, as author Lindsey states and the Watch Tower's Awake! magazine implies. Seneca's personal testimony is that as far back as the first century they did occur with notable frequency. That few if any specifics are known today about these destructive quakes certainly does not mean that they did not take place. As the Hun squadrons prepared to move, a disaster of the first magnitude befell the Romans. The series of earthquakes which shattered the Eastern Empire for four months beginning on 26 January 447 were, in the belief of Evagrius, the worst in its history. Entire villages were swallowed up and countless disasters occurred both on land and sea. Thrace, the Hellespont, and the Cyclades all suitered. For three or four days after the earthquakes began, the rain poured from the sky, we are told, in rivers of water. Hillocks were levelled with the ground. Countless buildings were thrown down in Constantinople, and, worst of all, a stretch of the massive walls of Anthemius, including no less than fifty-seven towers, fell to the ground. Yet these disastrous shocks of 447 A.D. are not included in any of the earthquake catalogs the authors of this present work have had access to. It is only since the middle of the last century that seismologists have intensively studied records of earthquakes in the past. Robert Mallet, "the first true seismologist." not only examined the older catalogs compiled by his predecessors, but he also searched through libraries all over Europe, looking for records of ancient earthquakes. Finally, in the Reports of the British Association for the years 1852-54, he published a catalog of nearly seven thousand earthquakes, dating from 1606 B.C. to A.D. 1850!44 As Milne and Lee pointed out, these entries "refer, for the most part, to widespread disasters," that is, great and destructive earthquakes. Milne indicated the intensity of the earthquakes he listed according to the scale I, II and III, with III referring to the most destructive earthquakes, "those which destroyed towns and devastated districts," cracking walls, shattering old buildings, and so forth "up to a distance of 100 miles" from the center. During the last century alone (the nineteenth), when the records are most complete, about 370 earthquakes of class III are listed. When compared with such documented evidence the Watch Tower Society's reference to only 24 major earthquakes from 856 to 1914 A.D. becomes virtually ludicrous. When it comes to the number of deaths in different earthquakes in the past, the ancient records are often silent or give very scanty information. The Awake! issue of July 8, 1982, on page 16, claimed that, "From the time Jesus gave his prophecy until 1914, history records five earthquakes that each took 100,000 lives or more." while "In the period since 1914 at least four more such superearthquakes have occurred." The Watch Tower Society's statement about a 20-fold increase in earthquakes since 1914 was also sent to a number of leading seismologists around the world. All of them rejected the claim and none of them thought that our century is in any way unique with respect to the number of great earthquakes. A number of the answers received are reproduced in the Appendix [in printed edition] (Appendix A). Comparing this information with the statement of the Awake! writer earlier-quoted, it becomes painfully evident how remarkably superficial the research of the Watch Tower publications is, how utterly irresponsible the claims made actually are. In many cases great numbers of deaths have been caused by accompanying results or consequences of earthquake activity, such as tsunamis, volcanic eruptions, landslides, fires, and similar factors. But this holds equally true for some of the "superearthquakes" occurring after 1914. The 100,000 that died in the earthquake in China in 1920, for example, were killed primarily by a landslide triggered by the quake. The earthquake in Japan in 1923 caused a fire storm that killed 38,000 of the 143,000 victims. It should also be added that the table above certainly does not claim to list all "superearthquakes" before 1914. All together, over 900,000 persons have died in earthquakes since 1914! Can any single 'generation' equal that terrible record? Jesus' prophecies about earthquakes apply now. Although this number has subsequently increased by a few hundred thousands in the years that have passed since that statement was published in the Awake! magazine, we will nonetheless take up the gauntlet presented by the Watch Tower's challenge. The results show that the total death figure in earthquakes from 1915 to 1983 amounts to 1,210,597, which is an annual average of 17,545. The accompanying table (on the left side) listing 43 major earthquakes from 1715 to 1783 shows a total of 1,373,845 deaths, which is about 163,000 more, giving an annual average of 19,911! To prove that 1914 was a real seismic "turning point" The Watchtower of May 15, 1983, made reference to 50 destructive earthquakes during the 68 years between 1914 and 1982. (Page 7) We have therefore prepared a table for the 68 years preceding 1914 (1847-1914) showing a partial list of 50 destructive earthquakes compiled from reliable sources. It demonstrates very conclusively that 1914 cannot have been the conspicuous turning point the Watch Tower Society claims it was. *See page 65, footnote 34; compare Awake! July 8, 1982, p. 13. +Ganse & Nelson list a death figure of 44,623 for this period. SOURCES: Båth: Introduction to Seismology (1979); Richter: Elementary Seismology (1958); Imamura: Theoretical and Applied Seismology (1937); Ganse-Nelson: Catalog of Significant Earthquakes (1981); Ambraseys: Earth-quake Hazard and Vulnerability (1981); Ambraseys-Melville: A History of Persian Earthquakes (1982); Latter: Natural Disasters (Advancement of Science, June 1969); Press-Siever: Earth (1974); Handbuch der Ceophysik (ed. Prof. B Gutenberg), Band IV (Berlin 1932). We have seen, one by one, the different claims of the Watch Tower Society demolished by historical facts - that the period A.D. 856-1914 saw only 24 major earthquakes, that the great earthquakes of the past occurred "years, even centuries, apart," that history records only five "superearthquakes" from the time of Christ to 1914, and that no single generation before 1914 can equal the one following that year with respect to earthquake victims. Is it really possible that the writers of the Watch Tower publications are so ignorant of past earthquakes- or are they trying to conceal the truth about them from their readers? We prefer to believe that they primarily have been ignorant of the facts. But if so, it is extremely remarkable that an organization claiming to have been authorized by Jesus Christ to interpret the signs of the time for people of our days, seems to take so little interest in verifying how its interpretations and statistics tally with historical reality. "There is no indication that seismic activity has increased or diminished appreciably throughout historic time." - Seismologists J. Milne and A. W Lee, Earthquakes and Other Earth Movements, seventh edition (London, 1939), p. 155. "Certain religious groups have picked this rather unfortunate time to insist that the number of earthquakes is increasing. In part they are misled by the increasing number of small earthquakes that are being catalogued and listed by newer, more sensitive stations throughout the world. It is worth remarking that the number of great earthquakes from 1896 to 1906 was greater than in any ten-year interval since." - Professor Charles Richter in National History, December 1969, p. 44. "For earlier centuries we do not have the same reliable statistics, but there are no indications at all of any increase in the activity in the course of time." - Professor Markus Båth, private letter dated June 17, 1983. "I certainly would agree with both Professors Båth and Richter in their assessment that there has been no significant increase in the number of earthquakes during this or any other century." - Wilbur A. Rinehart, seismologist at the World Data Center A, Boulder, Colorado. Private letter dated August 8, 1985. Page 1 and page 2. "Most certainly, there has been no increase in the seismic activity of the Mediterranean during this century. Quite the contrary, in the Eastern Mediterranean the activity of this century has been abnormally low when compared with that of the 10th-12th and 18th centuries." - Professor N. N. Ambraseys, private letter dated August 9, 1985. "I feel strongly that the seismicity has been stationary for thousands of years. . . . Excellent geological evidence for the stationarity has been obtained by Prof. Kerry Sieh of Caltech, for the San Andreas fault." - Seismologist Keiiti Aki, professor at the Department of Geological Sciences, University of Southern California, Los Angeles. Private letter dated September 5, 1985. "There are indications that worldwide seismic activity - if expressed in terms of earthquakes with magnitude 7 or over-has decreased steadily in the time from the beginning of the 20th century until now." - Seweryn J. Duda, Professor of Geophysics, University of Hamburg. Private letter dated July 7, 1986. Consequently, there is no evidence whatsoever in support of the claim made by various religious sources, including the Worldwide Church of God, a Seventh Day Adventist author, and notably by the Watch Tower Society, that earthquake activity is markedly different in our century compared with earlier centuries. All information available points to the contrary. The shifting, twisting, uncoordinated claims of the Watch Tower Society and their juggling of facts and figures in an effort to prove that an increase has occurred have been revealed above as fraudulent -hopefully not deliberately so, but as a result of remarkably poor research, superfical analysis and wishful thinking. 3 Verney, pp. 53, 54; B. Booth & F. Fitch, Earthshock, London 1979, p. 89. 4 G. A. Eiby, Earthquakes, London 1968, p. 191. This holds true only of earthquakes measuring 7.9 and above on the Richter scale. 5 Markus Båth, Introduction to Seismology, 2nd ed., Basel, Boston, Stuttgart 1979, pp. 27, 262-266. 6 J. Milne & A. W Lee, Earthquakes and Other Earth Movements, 7th cd., London 1939, pp. 134, 135. 7 The Encyclopedia Americana, 1966, under "Earthquake;' p. 496. 9 Report of the Eightieth Meeting of the British Association for the Advancement of Science, Portsmouth: 1911, Aug. 31-Sept. 7 (London 1912), p. 649. 13 Verney, p. 72. The Encyclopedia Americana, 1966 ed., under "Earthquake;' page 496, states that, "If all shocks down to the very smallest are included, it is likely that the total may be well over a million' " The great majority of these shocks am, of course, not noticed by man, being recorded only with the aid of instruments. 14 Natural History, Dec. 1969, p. 44. In his Elementary Seismology (San Francisco 1958, page 357) Richter similarly states that "There is no escape from the conclusion that the greatest shallow [that is, near the surface] shocks were more frequent before 1918 than afterward." 15 S. J. Duda, "Secular seismic energy release in the circum-Pacific belt," Tectonophysics, 2 (1965), pp. 409-52; Markus Båith and S. J. Duda, "Some aspects of global seismicity." Tectonophysics, 54 (1979), pp. TI-T8. Newspapers often present grossly misleading data on earthquakes. Richter (1958. p. 5) points out that "the popular press" can be used "only with caution." However, The Watchtower of May 15, 1984, p. 25, referred to an article published in The New York Times that termed 1983 "A Year of Earthquakes," because of a claimed "rash of lethal earthquakes" that year. To prove this The Watchtower reproduced a list of 9 quakes from a period of 3 months, all of which were said to be "major earthquakes, reckoned on the Richter scale." A closer look at the list, however, shows that only 3 of the 9 earthquakes are "major," having a magnitude of 7.0 or more. As Professor Markus Båth points out (personal letter, dated October 3, 1984), this is not above, but below the normal.. "The information from The New York Times is completely misleading. With 3 earthquakes of a magnitude of 7 or more during 3 months, the number of such quakes would be 12 in a year. This is clearly below the average, which is 20 quakes a year with a magnitude of 7 or more. The statement in the newspaper points to a quake activity that is below the normal!" Nor was 1983 "A Year of Earthquakes" measured by death figures. According to information available from the World Data Center A for Solid Earth Geophysics (see later, footnote 19), only 2,328 persons died in earthquakes during 1983, which is far below the average. 16 The Watchtower. February 1, 1974, p. 72. 17 The Watchtower, February 1, 1974, p. 73. 18 The Watchtower, February 1, 1974, p. 74. 19 Booth & Fitch, p. 80; Robert A. Ganse and John B. Nelson, Catalog of Significant Earthquakes 2000 B.C. - 1979, Boulder, Colorado 1981, p. 63 (Report SE-27 of the World Data Center A for Solid Earth Geophysics). 20 Ganse & Nelson, pp. 56, 59. The earthquake in Afghanistan in 1956 claimed 220 lives according to some tables, 2,000 according to others. 22 In this connection it is noteworthy that The Watchtower, February 1, 1974, p. 72, states that "some of the earthquakes with the highest magnitude ratings - are under the oceans" and that such "have had virtually no effect on men." Speaking of "potentially damaging earthquakes" (3.8 and over), seismologist J. H. Latter, in the Advancement of Science (June 1969, page 365) even says that "the overwhelming majority occur beneath the sea or far from inhabited regions." As such quakes in most cases would pass unnoticed before the time of instrumental registration, it is clear that the Society's magnitude criterion could grossly distort the real facts about earthquake frequency. 23 Although Ganse and Nelson have tried to estimate such damages for past earthquakes in their catalog, the damages for numerous earthquakes are stated to be "unknown." 24 N. N. Arnbraseys, "Value of Historical Records of Earthquakes;" Nature, Vol. 232, August 6, 1971, p. 379. 26 The Watchtower, May 15, 1983, p. 5. In Awake!, August 8, 1968 p. 30, the Society emphasized that an earthquake in the latter part of June that year "claiming the lives of 16 persons and injuring 100 others" fulfilled "Scripture prophecies," although no magnitude rating or property value was considered. We agree that this earthquake met Jesus' prophecy, even if the Society should now reject it in the light of their latest criteria. There have been innumerable such earthquakes since Jesus spoke his words about them. 27 This quake is usually said to have claimed more lives than any other recorded earthquake in history. However, it may have been surpassed in this respect by the earthquake that hit Upper Egypt and/or Syria on July 5, 1201, which, according to some ancient records, cost about 1,100,000 lives. If this figure were divided by a period of 62 years, we would obtain an annual average of 17,740. This would be a higher figure than the correct figure for the 20th century, 15,700, as shown in this section. See S. Alsinawi and H. A. A. Ghalith, "Historical Seismicity of Iraq;" Proceedings of the First Arab Seismological Seminar, Seismological Unit of Scientific Research, Baghdad, Iraq, December 1978; also Ganse and Nelson, p. 6. 29 Happiness How to Find It, 1980, p. 149; the same impressive statistics were again published in The Watchtower of May 15, 1983, p. 7 (chart III). 31 New York Times, August 20, 1950. Compare Awake! December 22, 1960, p. 14. 32 Bath, p. 137. The Time magazine of September 1, 1975, similarly stated: "During recorded history, earthquakes - and the floods, fires and landslides they have triggered - are estimated to have taken as many as 74 million lives." 33 Encyclopedia Americana, 1966, "Earthquake;" page 498. Bath (page 14 1) has the same figure, 100,000, in his list. The earthquake in Japan 1923, which according to the Society's list took 143,000 lives, killed 95,000 according to the Encyclopedia Americana. But as shown by C. F. Richter (Elementary Seismology, page 562), who gives the death figure as 99,331, an additional number of 43,476 were reported as missing. The total death toll, then, was probably about 143,000. In one case the Encyclopedia Americana has a considerably higher figure than The Watchtower. This is the 1939 earthquake in Turkey, which the encyclopedia claims to have taken about 100,000 lives, while The Watchtower, like Bith, Ganse & Nelson, and other seismologists, sets the death figure at 30,000. 34 A report from Hong Kong first erroneously set the death figure at 655,237, from which the Western estimates of 650,000-800,000 were derived. When finally, the Chinese authorities, who at first kept all information about the catastrophe secret, released information about the earthquake, they put the death total at 242,000. ("Chinese Seismological Society Report on July 28, 1976 Event," Dalian Meeting 1979 Xinhua News Agency. Compare Ganse & Nelson, p. 70, 148, ref. 61.) The Dallas Times Herald of Sept. 3. 1983, summarized the new information as follows: "Officials now put the Tangshan death toll at 148,000 with another 81,000 seriously injured. In a deadly triangle anchored by Tangshan, Peking and Tianjin, nearly 100,000 other people died, increasing the official death total to 242,000. Western estimates placed the death toll as high as 800,000." 35 Professor Båth, in a personal letter dated October 3, 1994, explains: "recent example [of exaggerations] is the China earthquake 27/7, 1976 (page 149 in my 'introduction'), for which Hong Kong (!) gave a much too high a figure immediately after the quake. Long afterwards (too late, in fact, to be included in my book) an official Chinese report gave the number of victims as 242,000, which now is regarded as the correct figure." 36 Professor Båth, in his letter of October 3. 1984, points out that the annual deaths in earthquakes during the twentieth century are 15,700 on the average (as against the Society's 25,300). 38 Scientific American, September 1950, p. 48. The quotation may be found, for example, in Awake!, March 8, 1956, pp. 7,8; Awake!, December 22, 1960, pp. 14,15; The Watchtower, 196 1, p. 628; Awake!, October 8, 1965, p. 16; and in Aid, 197 1, p. 478. In each case, the quotation was the sole evidence of an increase in the earthquake activity since 1914! 39 It should also be observed that the "new phase" had appeared for at most parts of three years, from 1948 to 1950, when the information was published. The information could not show, of course, whether the "new phase" would continue after 1950. Certainly this would be a slender thread of evidence upon which to build such startling claims. 40 There is evidence that it was realized that the Scientific American article of 1950 had begun to take on a somewhat outdated look, one in need of renewal. The Watch Tower Society's Bible dictionary Aid to Bible Understanding, published in 1971, thus made use of this quote in an unusual way, one that gave a further false appearance, as is shown in the following quotation: "Jesus foretold earthquakes in great number and magnitude as a feature of the sign of his second presence. (Matt. 24:3, 7, 8; Mark 13:4, 8) Since 1914 C.E., and especially since 1948, there has been an increase in the number of earthquakes, especially major ones. Before 1948, they occurred in clusters, with a rest period inbetween, but since then there has been a major quake almost annually, in addition to a great number of smaller ones See Encyclopedia Americana, Annuals, 1965-1967, under 'Earthquakes.'" ( Aid to Bible Understanding, p. 178.) The sentences from the Scientific American are almost literally repeated in this dictionary, but instead of referring to that magazine (by then some twenty years old) as the source, The Encyclopedia Americana, Annuals of 1965-1967, is referred to, evidently in order to give this "proof" a more current look and to indicate that the 1948-50 phase still persisted. The problem is, however, that this encyclopedia has nothing whatever to say about such a "new phase" from 1948, or of any increase in earthquake activity in our century! The unsuspicious and loyal reader of the Watch Tower publications takes it for granted that the new source cited confirms the statement about such an increase. It is most unlikely that he will check the source to find out that he has been misled. This way of substantiating claims is far from honest, especially as the statements are presented as the sole proof of the claimed post-1914 increase in earthquakes. 41 High seismic activity is not necessarily translated into high death figures. As Båth (quoted above, see footnote 11) points out, "There is usually no clear correlation between the magnitude of a shock and the number of killed people or other destruction." Only if the seismic activity is manifested in densely populated areas can there be high death figures. Seismologists, therefore, measure seismic activity by instruments, not by fatality reports. 42 John Milne & A.W. Lee, Earthqakes and 0ther Earth Movements,seventh edition, London 1939, p. 134. 43 N. N. Ambraseys in Nature, August 6, 1971, pp. 375, 376. 44 Milne/Lee, p. 2; Verney, p. 50. To his catalog, Mallet added a bibliography of about seven thousand books and pamphlets. 46 Milne/Lee, p. 135. Booth/Fitch, p. 76. 48 Milne (1911; see footnote 9 above), p. 655. 49 Milne (1911), pp. 655-658. Wong Wen-Hao's list for China, compiled from historical records, includes 3,394 earthquakes from 1767 B.C. to 1896 A.D.! - Comptes Rendus Comgrès Géol. Interntl. XIII, Belgium 1922, fasc. 2, Liege 1925. pp. 1161-1197. 50 Milne/Lee, pp. 137, 138. 51 Milne (1911), pp.649-740. Milne/Lee, p.138. 52 Milne (1911), p. 649. 54 Robert A. Ganse and John B. Nelson, Catalog of Significant Earthquakes 2000 B.C. 1979, Boulder, Colorado, 1981, pp. 3-33. (Report SE-27 of the World Data Center A for Solid Earth Geophysics.) On the Messina/Reggio quake, see A. Imamura, Theoretical and Applied Seismology, Tokyo 1937, pp. 140, 202, 204, which says that some 83,000 died in Messina and c. 20,000 in Reggio. Other sources used are: N. N. Ambraseys in Revue pour 1`étude des calamitès, No. 37, Geneve, December 1961, p. 18f, J. H. Latter, "Natural Disasters," Advancement of Science, June 1969, pp. 363, 370; N. N. Ambraseys & C. P. Melville, A History of Persian Earthquakes, Cambridge 1982; R. A. Daly, Our Mobile Earth, New York & London 1926; A. T. Wilson, "Earthquakes in Persia," Bulletin of the School of Oriental Studies, London Institution, Vol. VI (1930-32); Dr. A. Sleberg in Handbuch der Geophysik (ed. Prof. B. Gutenberg), Vol. IV, Leipzig 1932; and James Comell, The Great International Disaster Book, New York 1979. Death figures vary, and in several cases some sources give considerably higher figures than shown in our table. Thus the New Catalog of Strong Earthquakes in the U.S.S.R. from Ancient Times through 1977 (Report SE-31 of the World Data Center A, July 1982) gives 200,000~300,000 deaths for the earthquake in Gansana, Iran, in 1139. Comell (page 153) sets the death figure for the 1693 quake in Sicily at 153,000,.and Sieberg (in Gutenherg, p. 854) has 150,000 for the Japanese earthquake in 1703. For the two earthquakes that hit Tabriz in Iran in 1721 and 1780, estimates range up to 250,000 and 205,000 respectively. (Ambraseys/Melville, pp. 54, 184, 186) Two other relatively recent quakes that may have been 1.superearthquakes" are the earthquake in Japan in 1855, which may have claimed 106,000 lives (Sieberg in Gutenberg, p. 854), and the earthquake in Kangra, India, in 1905, of which Comell (p. 139) says that "some other reports claim nearly 370,000 people were killed in Central India when several villages were completely destroyed." Neither of these has been included in the table. 56 Sources used for the table on the 18th century earthquakes include: the catalog by Ganse & Nelson; Milne (1911), pp. 686-698; Robert Giffen in the Journal of the Statistical Society. Vol. XLI, London 1878, pp. 442-444; Charles Davison, Great Earthquakes, London 1936; Akitune Imamura, Theoretical and Applied Seismology. Tokyo 1937; Richter (1958); Båth (1979), page 139; Booth & Fitch, p. 78; and Encyclopedia Americana Annals, 1965-67, page 498. If the fact that the population on earth today is six-fold as great as that of the 18th century (c. 750 million in 1770), and the number of earthquake victims is seen as a ratio of the total population, the 18th century far surpasses the 20th! 58 Professor Båth, private letter dated June 17, 1983. See also Richter as quoted earlier, Natural History, December 1969, page 44, and Appendix A. 59 Compare the table by Milne/Lee (pp. 232-235), Eiby (pp. 191-195), Båth (pp. 114-117), and the statements by Verney (p. 77). Also Ganse & Nelson.